Amazon founder and CEO Jeff Bezos said he plans to continue doing work for U.S. government agencies and believes more tech companies should do so, as well. Speaking at the Wired25 conference in San Francisco on Monday, Bezos defended his decision to provide controversial technology to the U.S. government, including facial recognition software for law enforcement agencies and a proposal for a $10 billion cloud computing service for the Department of Defense. 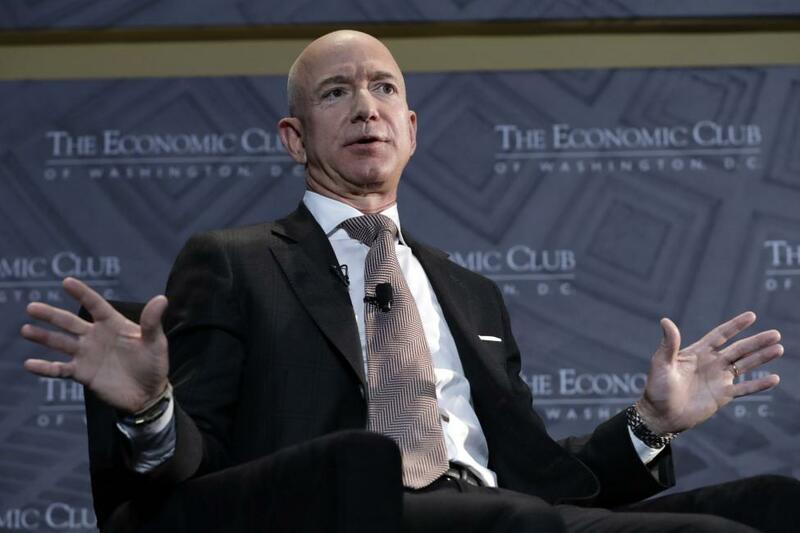 "If big tech companies are going to turn their back on the DoD, this country is going to be in trouble," Bezos said, adding: We are going to continue to support the DoD, and I think we should. One of the jobs of senior leadership is to make the right decision, even when it's unpopular." Bezos, who topped the Forbes richest people in the world list this year, said part of his decision is because of patriotism. "I know everyone is conflicted about the current politics in this country -- this country is a gem," he said. "It is amazing, it's still the best place in the world, it's the place people want to come, there aren't other countries where everybody's trying to get in. I'd let them in if it were up to me. I like them. I want all of them in. This is a great country and it does need to be defended." Amazon's facial recognition software, titled "Rekognition," has been criticized by civil rights groups, including the American Civil Liberties Union, for potentially violating individual privacy rights. "People should be free to walk down the street without being watched by the government. Facial recognition in American communities threatens this freedom. In overpoliced communities of color, it could effectively eliminate it," the ACLU said in a letter to Bezos in May. Earlier this month, Google pulled out of the bidding for the DoD's cloud service contract out of concerns the project violated the company's artificial intelligence principles. "We are not bidding on the JEDI contract because first, we couldn't be assured that it would align with our AI Principles," a Google spokesman said in a statement to Bloomberg. "And second, we determined that there were portions of the contract that were out of scope with our current government certifications."